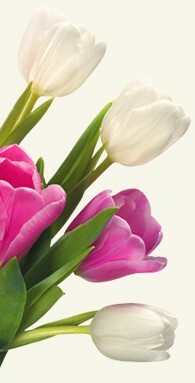 Acceda a su cuenta en flowers4johannesburg.com y compruebe el estado en sus pedidos. 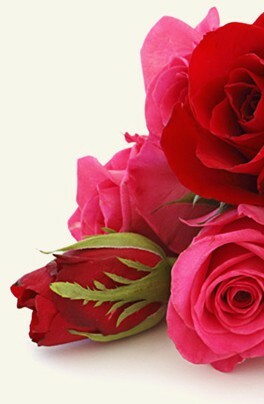 Inicie sesión en mi cuenta flowers4johannesburg.com para modificar su pedido o visite nuestra página de servicio al cliente. Todos los cambios deben ser 24 horas antes de la entrega. Después de ese momento, no podemos garantizar que habrá suficiente tiempo para los cambios que solicite. En Flores para Johannesburgo sólo utilizamos los mejores sistemas de seguridad para nuestros cobros on line. Utilizamos PayPal que es uno de los más grandes y seguros del mundo. flowers4johannesburg.com mantiene la información del cliente totalmente confidencial. Nuestra empresa no comparte información personal de los clientes para el uso de terceras partes o venderlo a agencias de publicidad. En el caso de un requisito legal, fraude o la solicitud de aplicación de la ley, su información personal puede ser compartida a petición de las autoridades competentes. Los gastos adicionales de envío son los siguientes: Darrenwood 161.00 ZAR, Florida 151.00 ZAR, Gauteng 226.00 ZAR, Inanda 161.00 ZAR, Johannesburg Albertville 136.00 ZAR, Johannesburg Atholl 141.00 ZAR, Johannesburg Auckland Park 136.00 ZAR, Johannesburg Benmore 161.00 ZAR, Johannesburg Berea 141.00 ZAR, Johannesburg Blairgowrie 136.00 ZAR, Johannesburg Booysens 161.00 ZAR, Johannesburg Bosmont 136.00 ZAR, Johannesburg Braamfontein 136.00 ZAR, Johannesburg Bramley 141.00 ZAR, Johannesburg Brenthurst Hospital 136.00 ZAR, Johannesburg Brixton 136.00 ZAR, Johannesburg Central Business District 136.00 ZAR, Johannesburg Charlotte Maxke Hospital 136.00 ZAR, Johannesburg Coronationville 136.00 ZAR, Johannesburg Cresta 141.00 ZAR, Johannesburg Crosby 136.00 ZAR, Johannesburg Crown Gardens 151.00 ZAR, Johannesburg Emmarentia 136.00 ZAR, Johannesburg Ferndale 141.00 ZAR, Johannesburg Flora Clinic 141.00 ZAR, Johannesburg Foresthill 136.00 ZAR, Johannesburg Gardencity Hospital 136.00 ZAR, Johannesburg Genesis Clinic 141.00 ZAR, Johannesburg Graighall Park 136.00 ZAR, Johannesburg Greenside 136.00 ZAR, Johannesburg Greymond 136.00 ZAR, Johannesburg Houghton 136.00 ZAR, Johannesburg Hursthill 136.00 ZAR, Johannesburg Hydepark 141.00 ZAR, Johannesburg Illovo 141.00 ZAR, Johannesburg Industia 136.00 ZAR, Johannesburg Kensington 146.00 ZAR, Johannesburg Kilarney 141.00 ZAR, Johannesburg Linden 136.00 ZAR, Johannesburg Linksfield Hospital 146.00 ZAR, Johannesburg Maraisburg 136.00 ZAR, Johannesburg Martindale 136.00 ZAR, Johannesburg Mayfair 136.00 ZAR, Johannesburg Melrose 141.00 ZAR, Johannesburg Melville 136.00 ZAR, Johannesburg Milpark 136.00 ZAR, Johannesburg Milpark Hospital 136.00 ZAR, Johannesburg Mondeor 176.00 ZAR, Johannesburg Montgomery Park 136.00 ZAR, Johannesburg Morning Sandton 161.00 ZAR, Johannesburg Morningside Clinic 161.00 ZAR, Johannesburg Newclare 136.00 ZAR, Johannesburg Newlands 136.00 ZAR, Johannesburg Nortcliff 136.00 ZAR, Johannesburg Norwood 141.00 ZAR, Johannesburg Observatory 141.00 ZAR, Johannesburg Ormonde 176.00 ZAR, Johannesburg Parkhurst 136.00 ZAR, Johannesburg Parkland Hospital 136.00 ZAR, Johannesburg Parkmore Sandton 161.00 ZAR, Johannesburg Parktown 136.00 ZAR, Johannesburg Rahima Moosa Hospital 136.00 ZAR, Johannesburg Rand Clinic 136.00 ZAR, Johannesburg Randburg 141.00 ZAR, Johannesburg Ridgeway 151.00 ZAR, Johannesburg Rissidale 136.00 ZAR, Johannesburg Riverlea 151.00 ZAR, Johannesburg Rivonia Sandton 161.00 ZAR, Johannesburg Rooseveldt Park 136.00 ZAR, Johannesburg Rosebank 141.00 ZAR, Johannesburg Rosebank Clinic 141.00 ZAR, Johannesburg Sandhurst 161.00 ZAR, Johannesburg Sandton 161.00 ZAR, Johannesburg Sandton Medi Clinic 161.00 ZAR, Johannesburg Saxonworld 136.00 ZAR, Johannesburg Selby 151.00 ZAR, Johannesburg Sophiatown 136.00 ZAR, Johannesburg Soweto 226.00 ZAR, Johannesburg Sunninghill Hospital 161.00 ZAR, Johannesburg Turfontein 151.00 ZAR, Johannesburg Victory Park 136.00 ZAR, Johannesburg Westbury 136.00 ZAR, Johannesburg Westcliff 136.00 ZAR, Johannesburg Winchesterhills 151.00 ZAR, Johannesburg Windsor 141.00 ZAR, Johannesburg Yeoville 136.00 ZAR, Midrand 226.00 ZAR, Pretoria Pretoria City 276.00 ZAR, Robindale 136.00 ZAR, Weltevreden 151.00 ZAR, Wilgeheuwel 151.00 ZAR y Wilgeheuwel Wilgeheuwel Hospital 151.00 ZAR. ¿Cómo puedo contactar con el servicio al cliente de flowers4johannesburg.com si tengo un problema? Acceda a su cuenta personal en flowers4johannesburg.com y/o contacte con nuestro Departamento de Servicio al Cliente, orders@internetflorist.biz o llame al 0044 2031090569.